This travelling exhibition MOVE - Art and Dance since the 60s provides an overview of the historical and current relationship between the fine arts, dance, movement, and choreography since the early 1960s. On view will be sculptures and installations by artists, dancers, and choreographers, all of which in some way influence the movements of exhibition visitors. The exhibition explores how everyday movements have been a driving force in the development of both contemporary art and dance since the 1960s. It examines how visual artists in the 1960s and 1970s used choreography as a means to encourage audiences to experience art with their whole body, whilst increasingly over the last two decades artists have used dance and performance to explore how everyday behaviour is choreographed and manipulated. MOVE is curated by Stephanie Rosenthal, Chief Curator, Hayward Gallery in London, and includes works by Janine Antoni, Pablo Bronstein, Trisha Brown, Boris Charmatz, Lygia Clark, William Forsythe, Simone Forti, Dan Graham, Christian Jankowski, Isaac Julien, Mike Kelley, Maria La Ribot, Xavier Le Roy & Mårten Spångberg, Robert Morris, Bruce Nauman, João Penalva, Tino Sehgal, Franz Erhard Walther, and Franz West. In Düsseldorf, the exhibition will be expanded to include selected works from the permanent collection by artists such as Carl Andre, Robert Morris, Jackson Pollock, and others. The exhibition integrates an interactive archive which sets the theme of art and dance into a wider historical context. The archive was developed especially for this exhibition in collaboration with André Lepecki, a professor of performance studies at NYU (New York University). 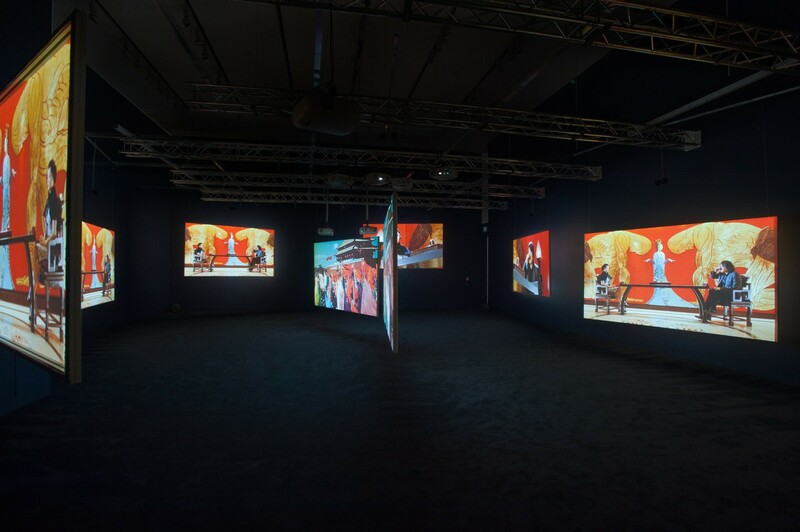 The selection includes more than 170 films and videos of performances by Merce Cunningham, Allan Kaprow, Yvonne Rainer, Meg Stuart, Kazuo Shiraga, Atsuko Tanaka, Sasha Walz, and others.